Habit: Helicteres semitriloba grows as a small to medium size shrub-tree to 6 m in height. 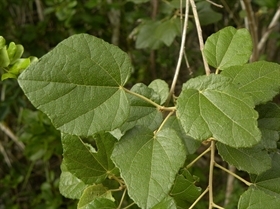 The leaves are arranged alternately, tomentose, to 15 cm (typically smaller) in length, ovate to rounded, with an acute leaf apex and dentate (often 3 lobed) leaf margin. The zygomorphic, complete, perfect, flowers are arranged in terminal compound corymbs. The calyx has 5, fused, green sepals. The corolla has 5, unfused, white changing to red with age petals. There are 10 fused stamens forming a column. The carpel has 5, superior ovaries each with a single locule and numerous seeds. The fruit is a capsule splitting into 5 separate parts at maturity. Habitat: Helicteres semitriloba grows in Dry Broadleaf Evergreen Formation-Forest/Woodland/Shrubland (coppice, scrublands). Distribution in Bahamas/Globally: Helicteres semitriloba occurs on all island groupings in the Bahamian Archipelago as well as Cuba and Hispaniola. 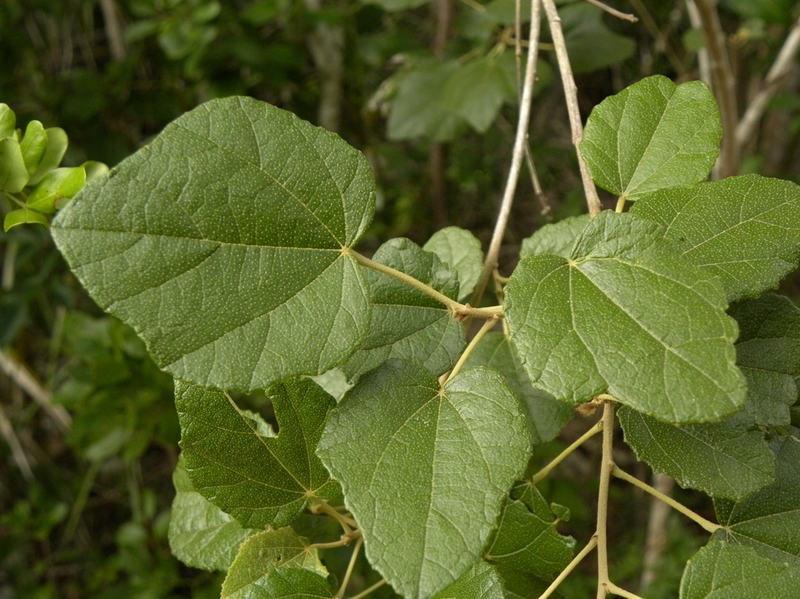 Medicinal/Cultural/Economic usage: Helicteres semitriloba is not used medicinally in the Bahamas.